We expected to start planning today examining a new location within arm's reach (or a very short drive's reach) of a possible location for our next drilling attempt, but instead found images like this. Rather than driving almost 11 meters, Curiosity only drove about 1/2 meter before stopping. So, we found ourselves looking at images of previous wheel tracks and contact science targets rather than a new location. The priority for today was therefore to recover that drive, which left plenty of time for some additional targeted and untargeted science. This included ChemCam LIBS rasters of "Brownell" and "Mahtowa", additional Mastcam images of "Munger" and "Itasca", and a Navcam dust devil movie. 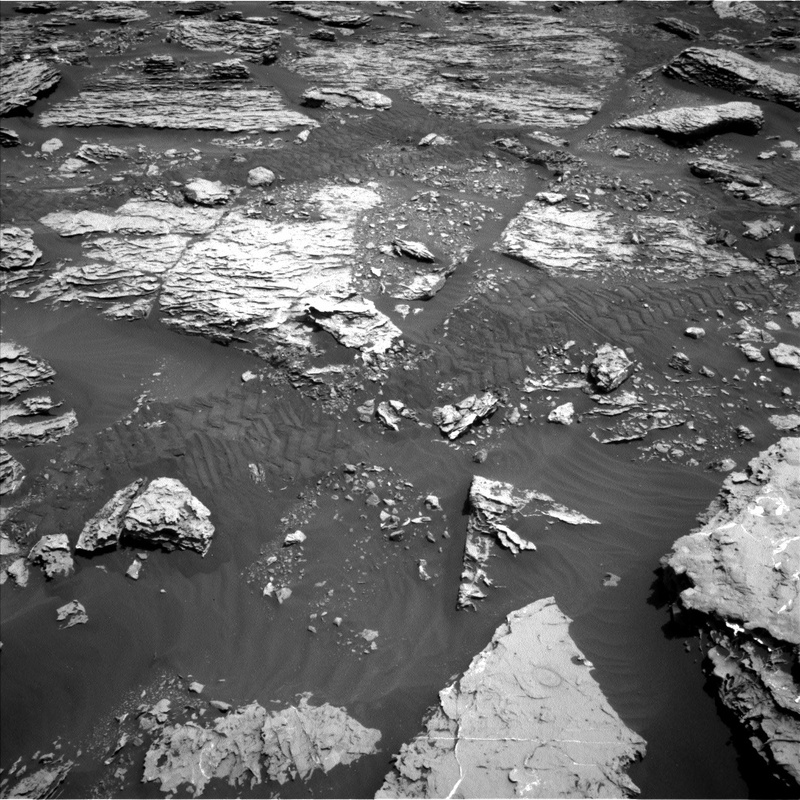 Following the drive, Curiosity will conduct a ChemCam AEGIS activity and a longer version of a Navcam dust devil movie. We often schedule dust devil movies closer to midday, when dust devils are more common, but it's important to also observe at other times of day to understand their frequency and patterns.